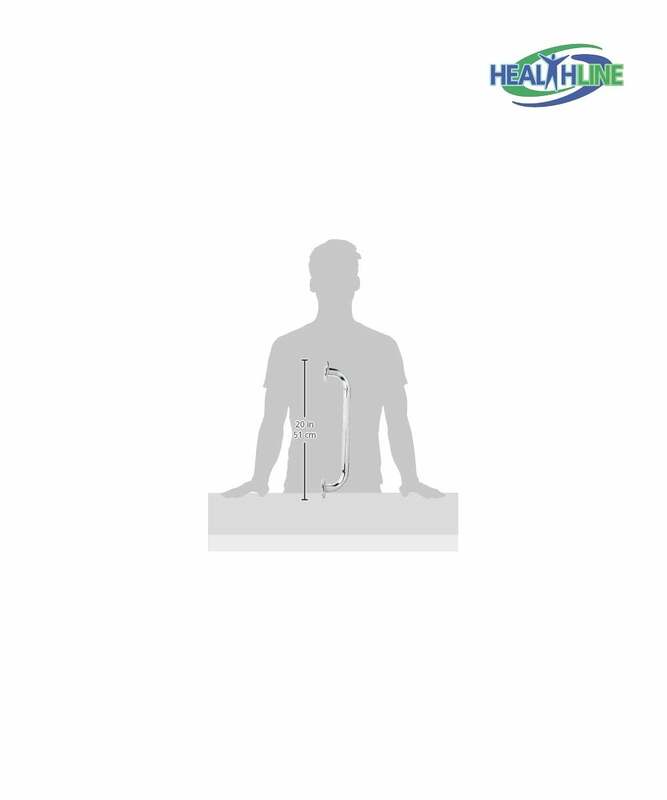 Shower grab bar helps prevent falls and assist in standing in the shower. Shower bars are a great safety measure for any shower. 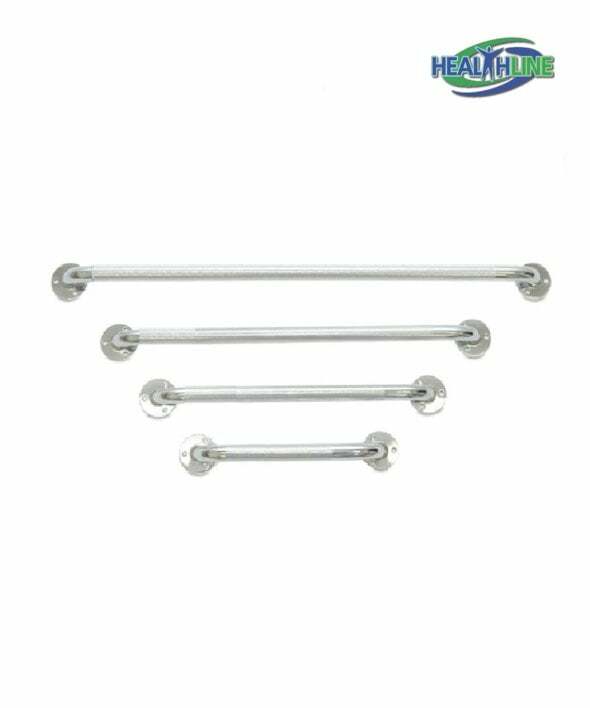 1.25″ knurled chrome diameter, chrome-finished bars may be used horizontally or vertically. 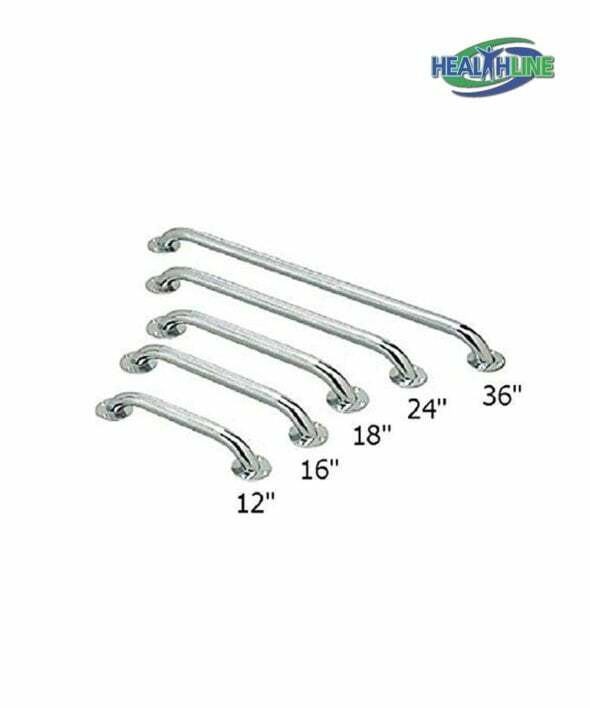 These grab bars meet the ADA 1.5″ specifications from the wall. Comes with plastic wall anchors for easy installation. 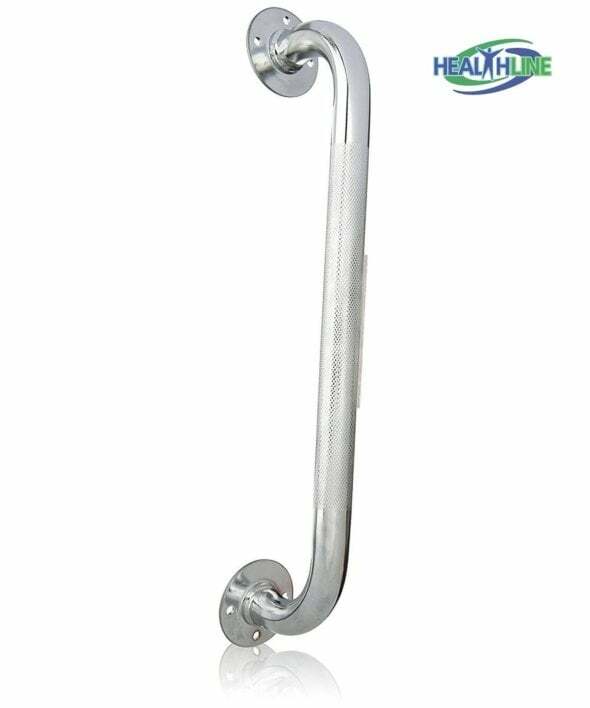 Shower grab bar is one perfect addition to a bathroom in a home with an elderly family member, post stroke or post surgery patient or disabled person. The knurled texture of the grab bar is a key element to its efficacy and long term quality service. Plastic fitments and anchors will help to simplify installation and secure the handlebar in place, no matter the size. The chrome grab bars for the bathroom come in four sizes: 12″, 16″, 18″, 24′. The diameter of each bar is 1.25″, which makes it very easy to get a grip onto and hold in the palm. Grab bar suits especially well for people with limited finger dexterity. 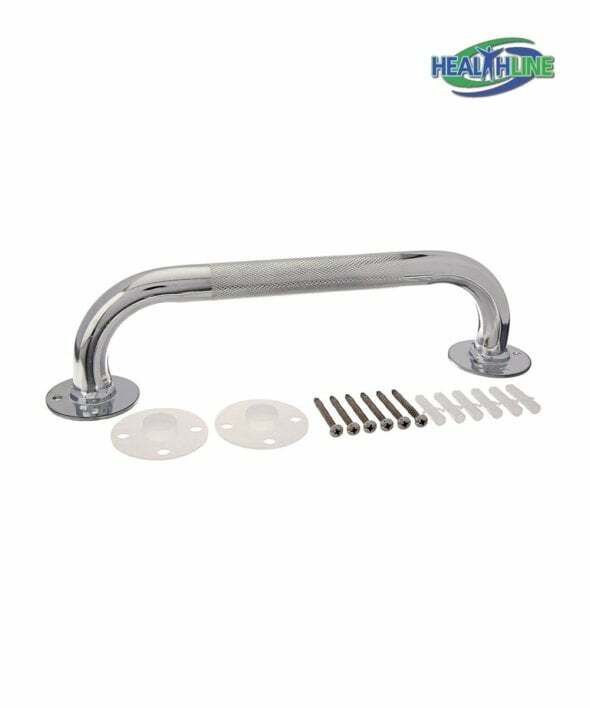 This bar can be installed as a single piece in the bathroom or in pairs – for even better maneuverability and convenience when getting in and getting out of the slippery bath tub. This product will prevent slip and fall, it will reduce the risk of injury. 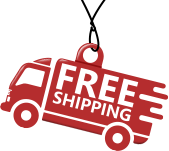 It can be mounted into the wall horisontaly, vertically or at an angle. This particular chrome handle bar for bathroom and shower is ADA 1.5″ specified and can be mounted into a wall safely and securely.